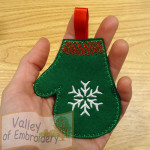 Christmas Mitten. 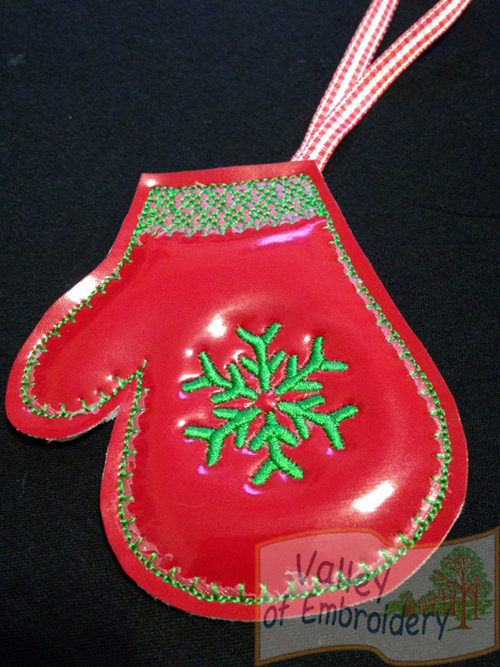 Easy to do, nice as ornament and gift! 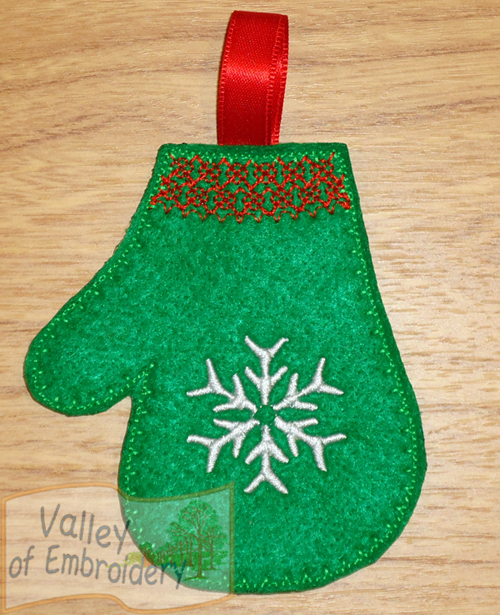 You can embroider this cute mitten ornament on Felt or Glitter Vinyl and add a ribbon on top, or more charms and decorations. 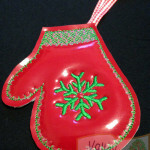 1 hooping, you’ll receive 1 design + instructions and pictures step by step.